On Saturday, October 18th, we held our Fall Dinner and Annual Meeting at the Carrington Pub and Grill at the Landmark Resort. It was a wonderful evening with great food and good company. We want to thank member Rich Dirks for presenting the 10 year journey about he and his wife, Sandra's, creation of their 'Lil Boat. Thank you also goes out to Jackie Ritchie and Mary Dunworth for organizing this event and to Judy Lokken for providing the center pieces, clever votives, and fresh flowers! Congratulations also goes out to our newest Board Member, Mark Stevens, and to our three returning Board Members, Bill Freyman, Dan Niesen, and Diane Smith, who were voted on by members present. 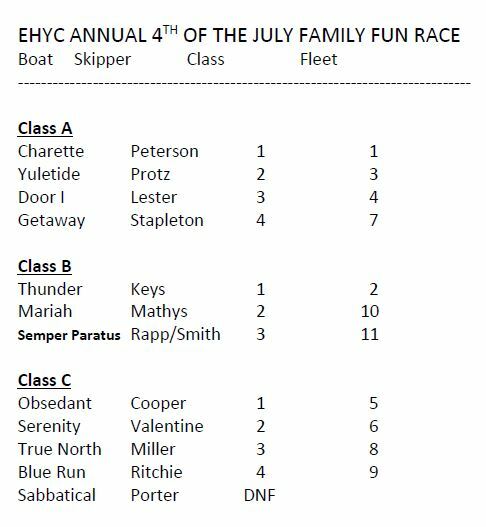 Saturday Race Series: Karl and Lucy Klug -- on Cygnus - were the overall winners!! 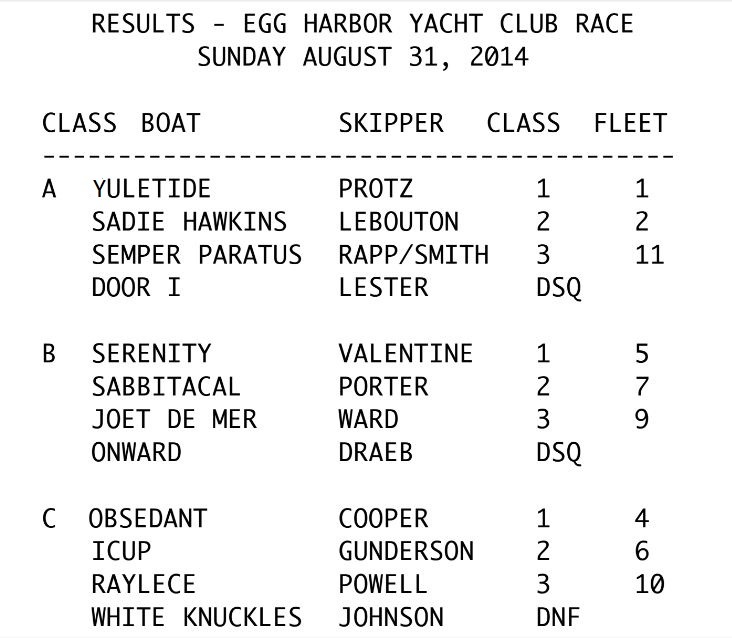 Dockside Saturdays - We held these twice per month and they were well attended and a lot of fun!! Looking forward to next year! Breakfast at the Alpine: was held on August 10th; delicious food!